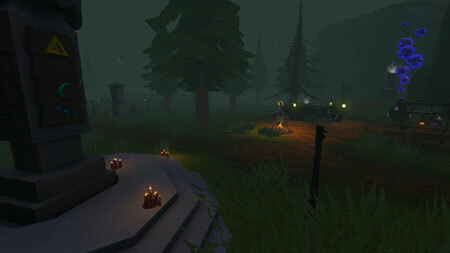 Windscape is a first-person RPG adventure game developed by Magic Sandbox. You will play as a young girl living on your parents’ farm, set in a lovely world made up of floating islands in the sky. As you discover the world you learn that something has gone terribly wrong – islands are breaking apart and falling from the sky. It’s up to you to discover the evil that is threatening the universe of Windscape. As you travel the world you will gather valuable resources allowing you to craft a plethora of items such as weapons, shields, potions, magical spells and much more. Some items will be just for fun while others are a necessity for your survival. You will meet peaceful NPCs and vicious monsters both on the surface of each island, as well as in the dungeons and lairs you uncover along your journey. The game features tactical fights against larger bosses such as ghosts, ogres and dragons. If you get stuck in the game, check out the video walkthrough and gameplay for the game. This entry was posted in PC Games, Walkthrough and tagged Windscape Cheats, Windscape Gameplay, Windscape Guide, Windscape Strategy, Windscape Walkthrough by Marvin. Bookmark the permalink.